If you were to guess which bands would have inspired one of the wildest, most ecstatic and exuberant pits of the festival, Japanese noise weirdos Melt-Banana probably would not have been at the top of that list. It was a delightful surprise, then, than the crowd absolutely adored the strange, cerebral group, the only participant in the fest who played with a drum machine. Singer Yasuko Onuki was gracious and seemed genuinely humbled during the sweet and stilted banter between songs, but she sang like a woman possessed, wielding a midi controller in one hand like a sceptre. While the band balanced euphoric digital sweetness with neon violence, the crowd gleefully tore apart an inflatable flamingo, innumerable glow sticks and each other. 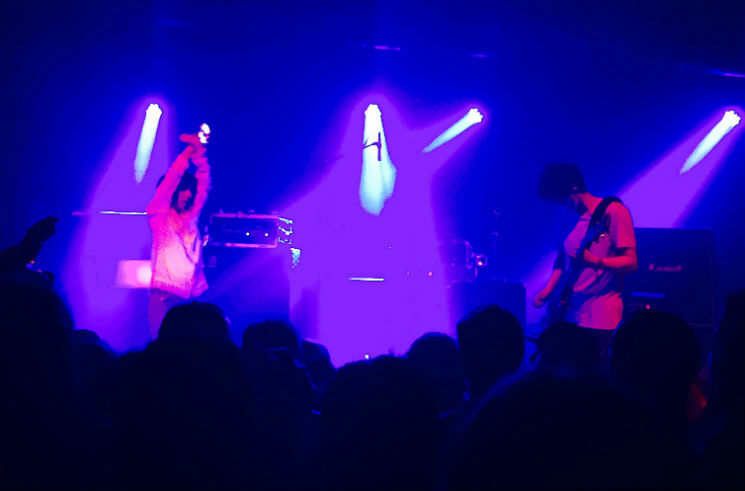 Melt-Banana were one of the very few non-headliners who were coaxed into playing a rare MDF encore, of "Candy Gun," to the pleasure of the sweaty, bloody, toxic glow-stick-juice-spattered crowd.